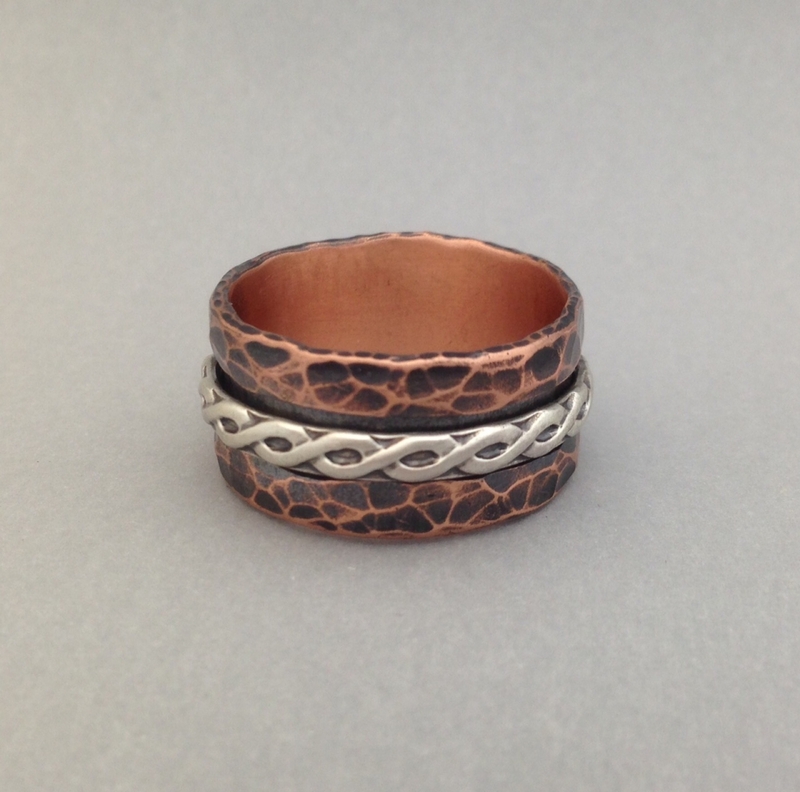 This copper ring has a hammered texture with a sterling silver spinner in a rope design. Its patina has been protected with a lacquer coat to help maintain the finish. It is a wide ring at approximately 1/2 inch in width. Because of this width, when ordering please add 1/2 ring size to your normal ring size. These rings are hand made so no two textures are exactly alike. This photo is representative of the texture.